Our goal is to connect people with the best local experts. We scored electricians on more than 25 variables across five categories, and analysed the results to give you a hand-picked list of the best electricians in Frederick, MD. FLH Electric is a Fredrick, Maryland-located electrical contractor that has served residential and commercial customers in the Frederick, Montgomery, Howard, and Washington counties since its founding in 2004. Their services cover rewiring, tenant fit-out, panel and subpanel installation, electrical remodeling, generator installation, fire alarm installation and troubleshooting, security system wiring and lighting, data wiring, ceiling fan installation, and electrical services for new construction projects. An after-hours service is available for emergencies. FLH Electric is licensed, bonded, and insured, and aims for their work to conform to the National Electrical Code. Past customers remark on FLH Electric’s excellent customer service, professional staff, and quick work. G & C Electric provides comprehensive electrical services to residential and commercial customers in Frederick County, Maryland and the surrounding areas. They're locally owned and operated and fully licensed, insured, and bonded. 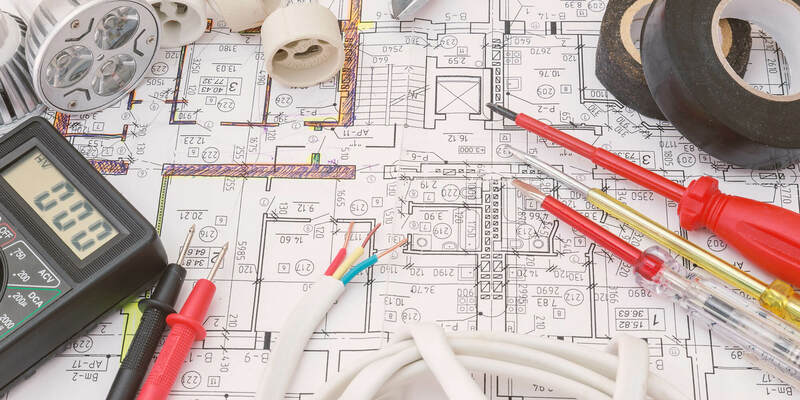 Their technicians are equipped to handle all electrical needs, including wiring and cable repair, kitchen remodels and appliance installation, switch and outlet wiring, and panel upgrades. Their commercial offerings cover new construction services and emergency repair. They specialize in older homes and upgrading lighting systems, and they provide same day service for small jobs. Estimates are free, and they offer discounts for new clients, seniors, and military personnel. Green Wave Electric, Inc. is a full-service electrical contractor that caters to residential and commercial customers in the Maryland, Washington DC, and Virginia area. In business since 1968, the family-owned and operated contractor provides various home services, including lighting installations, home inspections and corrections, troubleshooting, and surge protection. Commercial services include bucket truck service, tenant fit-up work, inspection reports for insurance companies, and new copier and computer circuits. Green Wave Electric also offers energy management services, including variable frequency drives, lighting retrofit work, solar panel installations, windmill installations, energy efficient controls of motors and lighting, and new energy efficient lighting design. Headquartered in Monrovia, Maryland, KCL Electric is a professional electrical contractor that serves clients in the wider local metropolitan area. The company is family-owned and -operated and accepts both residential and commercial projects. Services offered by KCL Electric include upgrades to circuit breakers and panels, installation of recessed lighting, attic and ceiling fan installation, outlet wiring, installation of dimmers and light fixtures, electrical code updates, the wiring of appliances, security lighting, and more. Previous clients rate KCL Electric highly on social media. The company can be contacted for appointment scheduling purposes by phone, via email, or through its official website. Peekskill Electric, LLC is an electric services company that serves throughout the Frederick, MD area. They are fully licensed and have over 30 years of experience in the industry. They provide services for both commercial and residential locations such as home inspections, restoration projects, lighting, energy efficiency and retrofits, troubleshooting, electrical installations, electrical upgrades, and electrical repairs. In addition, they are open to any electrical requests regardless of the job size. As a bonus, Peekskill Electric offers free estimates. Interested clients can read testimonials from past clients online on their website and can fill out a comprehensive request form as well. Rick Jones Electric is a boutique electrical company providing professional quality residential and commercial services to clients in and around Frederick, MD. Their talented team of electrical specialists are highly skilled and driven and work to provide every client with first-rate electrical service, done right the first time. They specialize in lighting design and installation for historic homes, residential properties, and small commercial spaces and offer a wide range of electrical services. Additional services include electrical service upgrade/heavy-ups, lighting fixture and ceiling fan installation, knob and tube deletion/ gfci protection, home rewiring, landscape and security lighting, general electrical repairs and upgrades, renovation and remodeling projects, and more. Clients may find a comprehensive list of services, via the website. Rickets Electric is located in Frederick, Maryland and offers electrical maintenance, repairs, and upgrades for both residential and commercial properties. Family owned and operated, Rickets Electric was established in 1985 and extends their expertise to the Montgomery, Carroll, Howard, and Washington Counties. Rickets Electric services include replacement of switches, receptacles, fans, and lighting fixtures, panel box repairs, panel installation, new construction, and much more. They can also provide energy-saving lighting, main switchgear installation, panel installation, transformer services, and LED replacement. Rickets Electric is licensed, bonded, and can provide a free estimate on all services by phone or email. Rickets Electric also owns Airport View Signs that can take care of a customer’s signage needs. Superior Electrical Service, LLC offers professional electrical services. For over two decades, the company has handled both businesses and residential needs. They serve the Central Maryland area including Carroll County, Howard County, Montgomery County, Northern Baltimore, and Northern Virginia. Their highly-qualified technicians provide installation and service for a variety of electrical needs including generators, ceiling fans, attic fans, kitchen electrical, custom lighting, and underground wiring. This family-owned business has a strong focus on providing excellent customer service and is available for 24-hour emergency services. The company has a Maryland State License, Virginia State License, and a Montgomery County Business Electrical License.